McCart's Pro Auto opened it’s doors in November 1997 but was a vision of Kelly McCart from as early as first grade. When asked to write what he wanted to be when he grew up, Kelly wrote a story that basically describes what he is currently doing today. The story started to become a reality when after high school he enrolled at Gwinnett Technical College in Automotive Technology. Shortly after starting college he started a cooperative training job with Troncalli Nissan as a lube tech but quickly advanced to a full line tech. 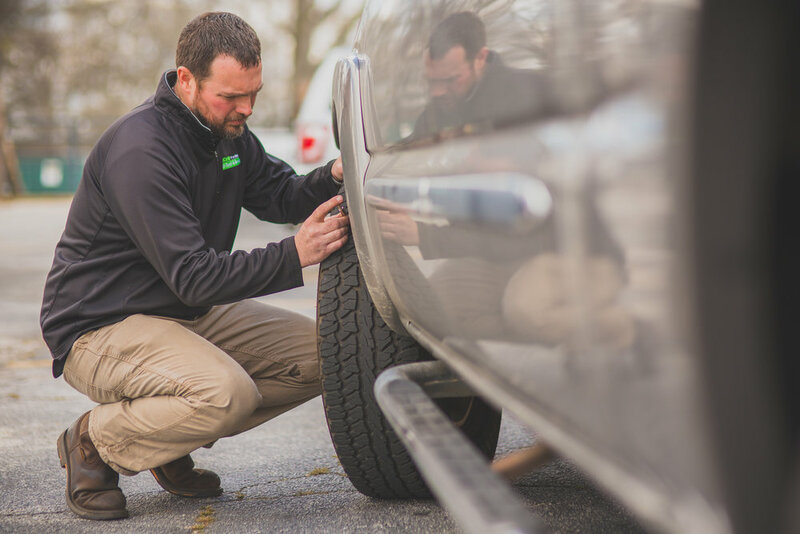 After graduation from the technology program Kelly knew that he wanted to start his own business so while working full time at the dealership he started working evenings and weekends on vehicles for friends, family, and neighbors. Then in 1997 came an opportunity that he could not pass up. Through a contact that he knew from Troncalli Nissan by the name Gary Groves, Kelly meet Eric Storm, the owner of Conyers Tire Company. Eric offered help and shop space to make McCart's Pro Auto a reality. McCart's Pro Auto started in the back of Conyers Tire Company on Old Salem Road and in just 4 short years had out grown the space. Then in March of 2001 Kelly moved the business to its current location on Green Street near Olde Town Conyers. From this location McCart's Pro Auto has provided quality workmanship that has produced long term customer relationships that will continue to stand the test of time.